INDUSTRY.co.id - Jakarta - The Indonesian Chamber of Commerce and Industry (Kadin) supports PT Pertamina EP to manage the Sukowati oil and gas field in Tuban Block, East Java following the termination of the contract at the end of February 2018. "The government should immediately appoint Pertamina EP as the Sukowati field operator to promote the alignment to the domestic companies, especially since the onshore field does not need advanced technology," said Firlie Ganinduto, Chairman of the Standing Committee on Regulation and Institutional Relations of the Indonesian Oil and Gas Industry Kadin Indonesia here on Wednesday / 2/2018). According to Firlie, there is no reason for the government to reject the Pertamina subsidiary engaged in the upstream oil and gas sector, to be the manager of onshore field oil field in Tuban Block, East Java. Moreover, PT Pertamina Hulu Energi (PHE) has confirmed the certainty of the transfer of the field to be managed by Pertamina EP. Firlie rate, Pertamina EP can be a locomotive in the upstream sector of oil and gas as a field operator Sukowati. Pertamina EP can also find domestic partners to maximize upstream oil and gas management in the country to be more effective. The chain impact of Sukowati field management by Pertamina EP is huge because it involves many people in the country as partners. Moreover, Pertamina EP also proved to have a high commitment to increase production from Sukowati field. "That means we are not antiasing, let alone foreign investment in EOR, deepwater, or offshore, if onshore, enough Pertamina EP," said Firlie. Pertamina EP managed Offshore North West Java (ONWJ) in 2009 when Pertamina got its operator right. 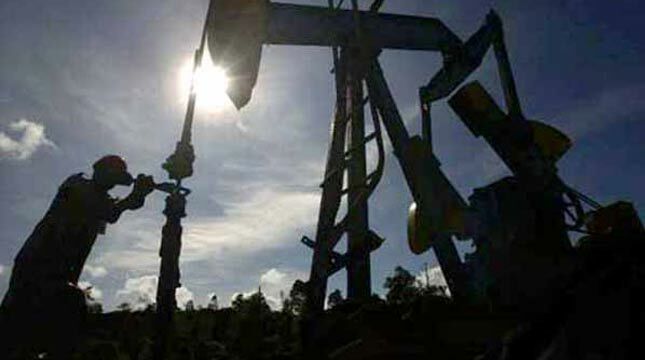 Pertamina proved able to increase ONWJ field production until now, as expected by the government. Another example, the management of the WMO Block taken over from Kodeco in 2011, to date has in fact been able to increase production. Previously, President Director of PT Pertamina Hulu Energi (PHE), R Gunung Sardjono Hadi said that PHE has given official letter to SKK Migas and ESDM Ministry regarding the return and transfer of Sukowati Field in Bojonegoro Regency, East Java to Pertamina EP. Gunung said after handed over the Sukowati field management, PHE wants to integrate the Tuban Block with Randugunting Block around Jepara / Rembang, Central Java. PHE Development Director Afif Saifudin added that Pertamina EP is more appropriate to be the manager and operator of the Sukowati field. This is because Pertamina EP's portion in the field of unitization reaches 80 percent while Joint Operating Body (JOB) of Pertamina PetroChina East Java (PPEC), which operates Tuban Block before termination on 28 February 2018, has 20% share in Sukowati. In relation to the termination of PPEJ contract in Tuban Block on February 28, 2018, the EMR Ministry has appointed termination block operators to keep operating until the signing of new contracts has been discussed. Currently, the Tuban Block is managed by JOB PPEJ with ownership interest of PHE and PetroChina each at 50%.